After provisioning Mobile Developer Console, the next step is to register a Mobile App for the mobile application that you are going to develop. Mobile Services provide commonly required features for mobile app development. Choose a project where you have previously provisioned Mobile Developer Console. Choose the Identity Management service. When completing the Identity Management provisioning wizard, you are prompted to enter configuration data. For the purposes of this guide, keep the default values. 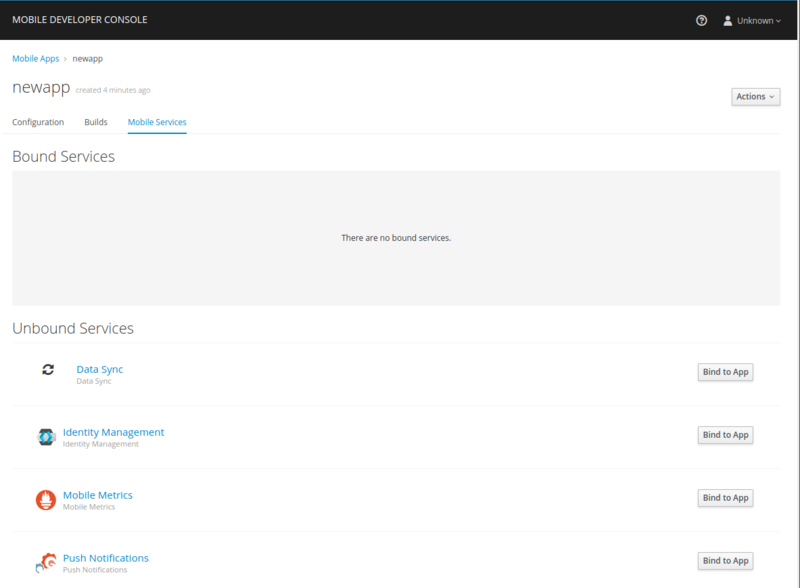 For more information about the Identity Management provisioning wizard fields, see Identity Management Configuration. To use mobile services, you must represent your mobile app in Mobile Developer Console, and that app must be associated with the mobile service. This association is called binding and it is necessary for your mobile app to use that service. 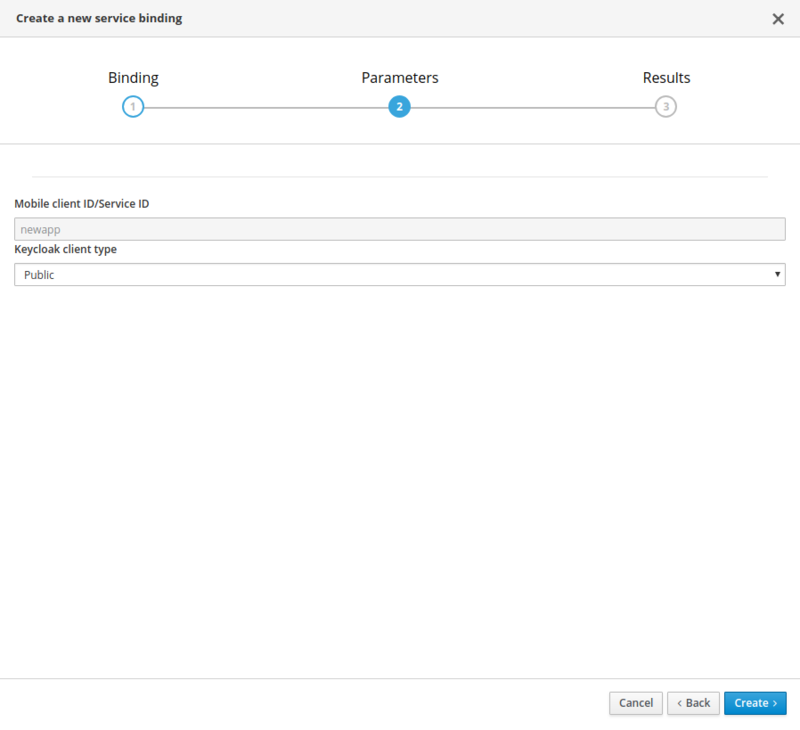 It is possible to bind a Mobile App with a mobile service in the OpenShift console, however such bindings are not valid for the purposes of this procedure. Use Public when binding a Mobile App to a Identity Management. When binding mobile services to each other, use Bearer. Navigate to the Mobile App screen. Select your client from the list of clients. The name of your client is derived from the name of the Mobile App, the name of the mobile development platform and the client type, for example myapp-android-public.